While we think pet sitting is super fun, we also take it very seriously! All of our sitters are insured, bonded and certified in pet first aid and CPR! With a background in management and real estate, Becky, and her husband Nick, started ABA in order use her knowledge of business and customer care in a field that she is truly passionate about. 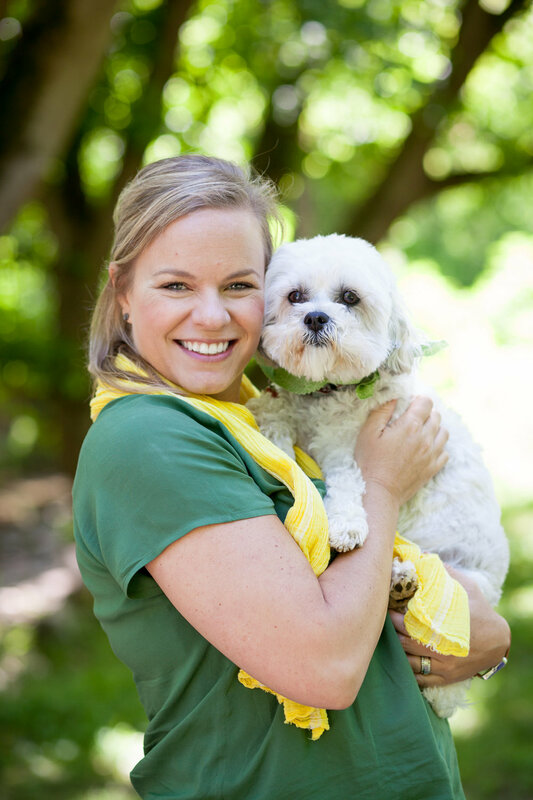 She handles all the daily aspects of the business from marketing and initial consultation to the pet care visits and field trips. She LOVES animals and believes that pets are a vital part of the family. friendly and eager demeanor all but guarantee your pet will be best buds with him! feline and K-9 friends. Allison loves her adventures all around town with the client pups. comfortable with her. She treats all of our client animals as if they were her own. With over 6 years of no-kill animal rescue work under her belt, Kim has not only acquired lots of animal handling and medical experience, but also some animals along the way! She is the mom to 3 dogs, one house cat and an outside feral cat who has recently forgotten she is feral! She has a true love for animals, their well being and happiness. She often gets asked whether she is a cat or dog person. The answer is BOTH- and that's the truth! particularly enjoyable because they give back the love and energy you give to them. (American Eskimo) Responsibilities include: Shedding on everything possible, barking sharply at any visitors to Nick and Becky's house, sleeping on Nick's pillow (or anything else soft), snuggling and giving out unlimited stinky kisses. (Cat) Responsibilities include: Napping on the front porch, napping on the bed, napping on our desks, napping in our file boxes. At least once daily she will interrupt a nap to prance across a keyboard "editing" our current e-mail and make sure we are staying on task and organized.